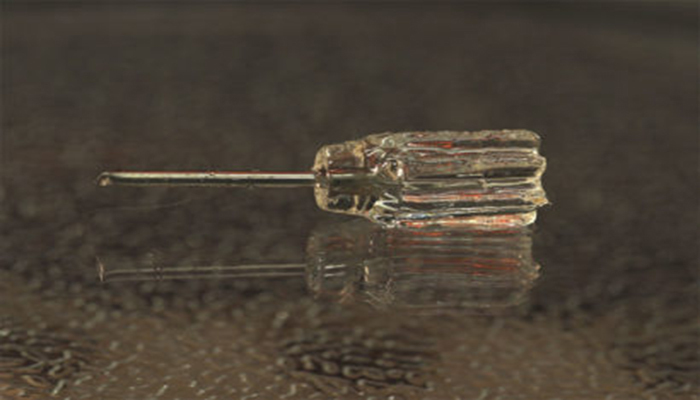 Researchers at the University of California, Berkeley, developed a new 3D printer that uses a special light-sensitive resin that solidifies into objects in a matter of minutes. The researchers nicknamed their machine the “Replicator” after the Star Trek device that materialises any object on demand. 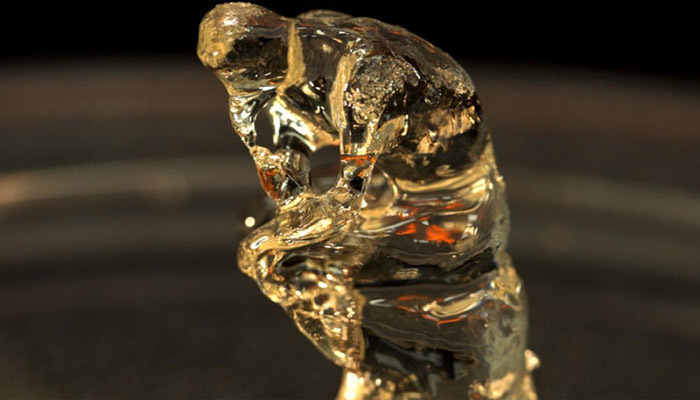 This new 3D printing process creates whole structures by projecting light into a resin that solidifies almost instantly. On the other hand, the usual 3D printing method creates pieces by depositing various kinds of material layer by layer. This new process allows different manufacturing opportunities such as adding a handle to a metal screwdriver shaft by plunging the screwdriver in the resin. Another traditional 3D printer would struggle to do this for example. Furthermore, it can also create objects which are smoother, more flexible and more complex. The technology could have great potential in medical fields, especially where transparent parts are needed, researchers said. “I think this is a route to being able to mass-customise objects even more, whether they are prosthetics or running shoes,” said Hayden Taylor, assistant professor of mechanical engineering at the University of California, Berkeley. He adds, “The fact that you could take a metallic component or something from another manufacturing process and add on customisable geometry, I think that may change the way products are designed“. Even other 3D printers that use light-based techniques end up building an object layer by layer. Nevertheless, we covered the news of a new technique coming from the University of Michigan that promised very fast small–scale manufacturing. In fact, they estimated their technique to be 100 times faster than other methods. Their method was a bit different from the one coming from UC, Berkeley. It solidified the liquid resin using two lights to control where the resin was hardened and where it stayed fluid. At UC, Berkeley, the researchers used a rotating cylinder filled with light-sensitive resin that solidifies when exposed to a certain threshold of light. Then, they projected patterns of light through a projector that essentially was projecting the shape of the object they wanted to 3D print. Finally, they had to use a liquid that doesn’t solidify when even a few rays of light pass through it. The researchers had to use 3D-printing resin composed of liquid polymers mixed with photosensitive molecules and dissolved oxygen perfect for this process. Unused resin can be 100% recycled by heating it up in an oxygen atmosphere. You can find more information from UC, Berkeley HERE. What do you think of this new 3D printing method? Let us know in a comment below or on our Facebook and Twitter page! Don’t forget to sign up for our free weekly Newsletter, with all the latest news in 3D printing delivered straight to your inbox!